Revolutionizing Health with a Completely Paleo, Keto and Vegan. Peanut, Dairy, Sugar, Soy and Grain Free snack. Fat Fit Go has an incredibly unique product. One of the first Keto friendly snacks on the market, they were looking for a new site to match the unique product they had created. With a limited number of product options, they wanted to make sure that they would be able to quickly convert site users, making the website a marketing machine that can boost their online sales. We were happy to help! Our main focus was creating a design that spoke to their market, people interested in the cutting edge science of health and weight loss. We needed to create something, using their branding and marketing guidelines, that spoke to this niche, as well as making it incredibly easy to find and purchase their products. 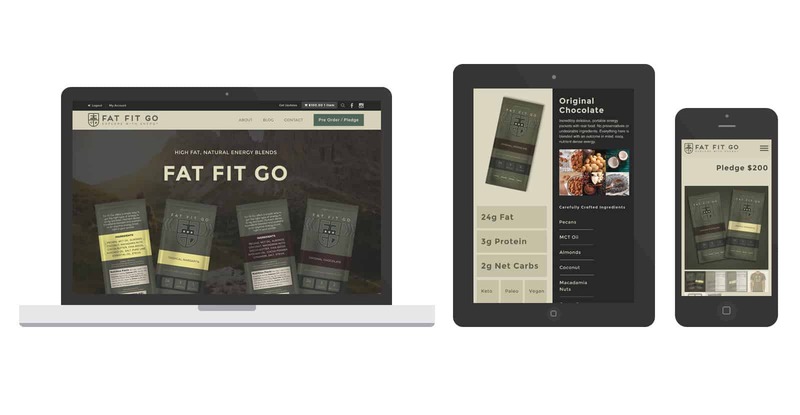 With the power of WooCommerce, we were able to create a complete custom website, that converts, markets their product, and will help their product dominate the health food market for years to come!